Atal Behari Vajpayee once said he was a poet by instinct and a politician by accident. It was his natural instinct for words that, of course, made him the great orator he was—but, in many ways, it also formed the pol­­­­i­­tician. His political method was more flexible because his ideas moved in the fluid space of language, not in the rigid diktats of party lines. India’s right wing owes a large part of its acc­­­e­­ptability, and its mainstreaming, to him—a fact it could pause to mull over in this day when a conciliatory tone is seen as a sign of weakness. It was because Vajpayee worked a fuzzier politics than his peers—espec­ially his long-time fellow traveller L.K. 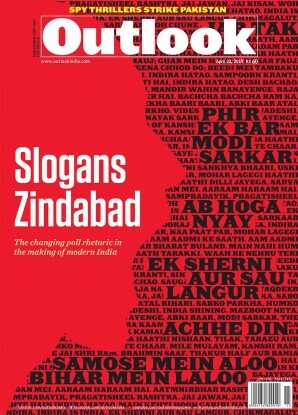 Advani—that he rose above the rest to emerge as the biggest consensus-bui­l­der of his era. His National Democratic Alliance (NDA) can be called the first fully functional experiment in unity in ideological diversity. Although the various Janata avatars, including the United Front of the 1990s, can be credited with inaugurating coalition politics, it was Vajpayee’s style of persuasion, rather than coercion, that made the difference. No one expected the fractious coa­li­tion of 1999 to last, not even those wit­hin the BJP, especially after the earlier 13-day and 13-month-long failed stints. However, it did last the whole term. Credit it not just to his charisma and easy charm, but his personal rapport with smaller parties. Vajpayee’s success lay precisely in the fact that he never made the smaller parties feel small. At the same time, his non-coercive style helped cool occasional flashes of anger and soften the intransigence of unpredictable allies like Mamata Banerjee, the late J. Jayalalitha and M. Karunanidhi—all of that with dignity, grace and humour. He landed at DMK leader Murasoli Maran’s funeral in 2003, surprising everyone, when the BJP’s relationship with that party was particularly tense. This is how Vajpayee was. His ego was never an obstacle—never unable, always enabling. He handled the toughest of crises with self-deprecatory humour. His speeches in Parliament are some of the most memorable ever, appreciated across party lines. He had a way with even combative words that made him get away by saying things that would have sounded hurtful coming from a lesser leader. As a young MP, he mis­chievously told Nehru that his personality had both Churchill and Chamberlain in it. Nehru took it in his stride. In fact, he prescie­ntly intro­du­ced Vajpayee to a foreign dignitary as a “future prime minister”. Indian politics possessed a quality then of which Vajp­a­­yee was as much an exemplar as Nehru was. His approach to contentious issues was that they be referred to the coll­ective wisdom of people. He managed to disarm even the Kashmiri separatist leadership, as he voiced his desire for a solution under “Kashmiriyat, Insaniyat and Jamhuriyat”. After four years in power, and blowing hot and cold over Kashmir, even Prime Minister Narendra Modi was forced to acknowledge in his I-Day address that those three words enunciated by Vajpayee expressed the best solution. Till date, Kashmir’s politicians say they saw the best chance for peace in Vajpa­yee’s days. They trusted his inclusivity, where that very tende­ncy in others was often seen suspicio­usly. Many in the strategic circles also bel­ieve India had the best chance of reac­hing some kind of a peace agreement with Pakistan under Vajpayee. The countries did come close to it when Vajpayee invited Pervez Musharraf for a summit in Agra in July 2001. He would have liked to define his years in power with a grand gesture of peace­making. 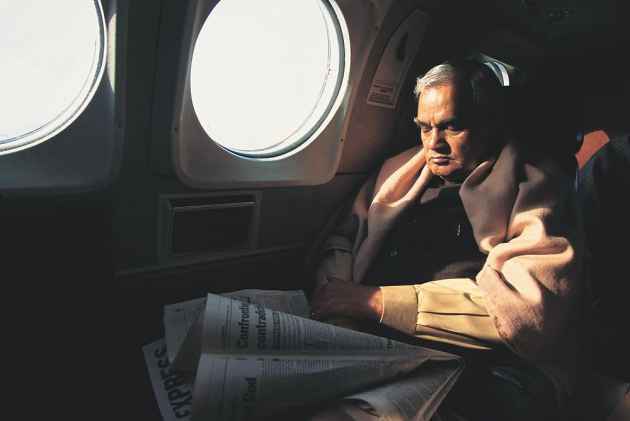 However, on the verge of mak­ing history, Vajpayee preferred to show a streak of firmness and go with Adv­ani’s hard bargaining—though doubt lingers over who was harder or softer. Vajpayee’s foreign policy had that dual quality. He could go ahead with nuclear tests, and then move swi­ftly to mend ties with a red-faced US, prompting a visit by Bill Clinton in 2000. Within the BJP, he was considered the moderate face—the “mukhota”—of a party closer in line to his polar opposite, hardliner Advani. This, though, had elements of a simulated conflict that both played in full awareness of the benefits in displaying this polarity in public. As PM, Vajpayee appointed Advani as his deputy PM and home minister, with almost complete charge of the domestic agenda. Advani has said the two shared a friendship that does not exist in politics anymore. These signs of a self-secure leader showed even in the functional leeway he gave to his cabinet colleagues. Vajpa­yee favoured approval of FDI in print media. However, he gave time for deb­ate to prepare the clim­ate for the dec­is­ion. He left the details to Sushma Swa­­raj and took the final decision at the right time. Fine talent filled his cabinet, and he never tried to loom over them. He always conceded that the Ayodhya temple was a universal demand, but never made a real push for it, seeking a solution with the goodwill of all con­ce­rned. 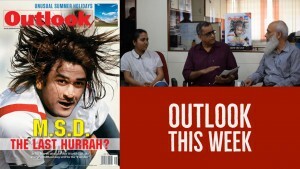 The human face of Hindu nation­alism was, therefore, never a favourite of the RSS. He was not “Hindu enough” for the Sangh, who didn’t quite approve of his lifestyle too. But in retro­spect, it would only be a cussed RSS strategist who would deny the role Vaj­payee played in their coming centre­st­age—or in the wider affairs of the nation.